Though the laws governing property division in divorce are relatively simple, there are certain instances in which you might need further guidance. Complex property division rules apply in instances where dividing property isn’t a simple matter. For example, when a spouse is withholding assets or you are going through a high net worth divorce. Any joint businesses or other family-owned businesses may further complicate matters as well. Under Texas Law, you are entitled to a division of property that’s “fair and just”. This being said, you may need to fight to quantify this term. An Austin complex property division attorney can help you ensure a fair and equitable amount of your spouse’s finances in Texas. Contact Austin property division lawyer Abraham Kant for a free initial consultation to review your legal options. Texas is a “community property” state. The law in Texas presumes anything obtained during the marriage is subject to equal division. Regardless of who earned it, anything obtained throughout the duration of marriage can be split equally. You may have separate property if you obtained property or assets before your marriage, received property as a gift, or inherited assets or property. In many instances, differentiating between joint property and community property can be extremely difficult. This especially applies when one spouse does not disclose the full amount of their assets. These matters become further complicated when you consider that separate assets (those accrued before marriage) may have been used in whole, or in part, to purchase what is normally considered community property (i.e., a home). By considering these factors, it’s easy to see how Texas’ “simple” property division laws can actually be quite complex. Navigating these issues, especially in the event of a contentious or high-value divorce, requires the assistance of an experienced Austin divorce attorney. Contact our firm to get started. When it comes to assets and debt division in light of a divorce, the courts decide what’s equitable and fair. This being said, division doesn’t always mean that everything is subject to a 50/50 split. There are many factors to consider when dividing property fairly. Not only who “earned” the property or assets, but also what the other spouse sacrificed to make that earning possible can be considered. Property division in a divorce is often contentious and may lead to arbitration, litigation, or mediation. These matters may be further complicated when forensic accounting investigations reveal that one spouse is hiding or withholding assets. Assets may include stock options, business holdings, or even pensions and retirement plans. All of these factors may affect the property split in a final divorce decree. Austin family law attorney Abraham Kant Esquire can help you with your complex property division needs. In order to ensure a fair and equitable division of property, our firm partners with strategic parties to conduct a thorough investigation. During this investigation, our Austin complex property division attorney will reveal the full amount of your spouse’s assets and property. Our firm also has connections to that can help you settle your property matters with alternative dispute resolution. 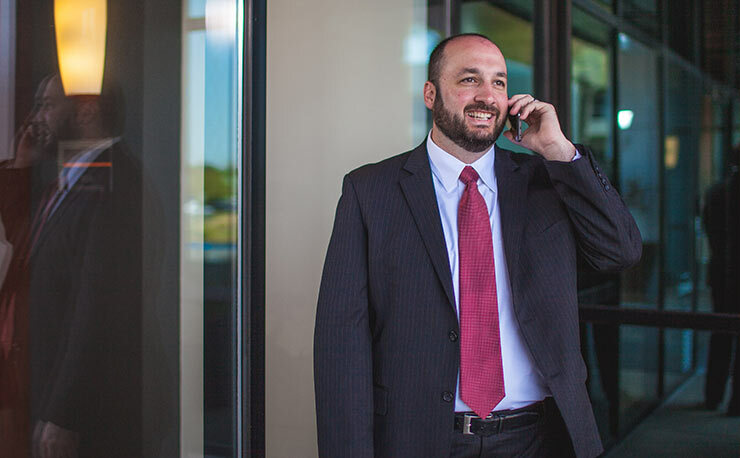 Since our Austin complex property division lawyers are aggressive advocates for our clients, we can defend your rights in litigation if it becomes necessary. Resolving your complex property division matter begins with a free initial consultation with our firm. To meet with Abraham Kant, our resident Austin complex property division attorney for these matters, please contact us.